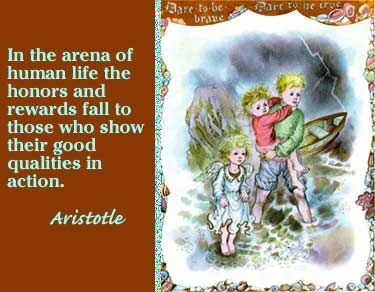 Aristotle Quotes and other Quotes by Famous People. Enjoy! "Excellence is never an accident. It is always the result of high intention, sincere effort, and intelligent execution; it represents the wise choice of many alternatives - choice, not chance, determines your destiny. "To avoid criticism say nothing, do nothing, be nothing." "Happiness is the settling of the soul into its most appropriate spot." It is during our darkest moments that we must focus to see the light." Excellence is an art won by training and habitation. We do not act rightly because we have virtue or excellence, but rather we have those because we have acted rightly. We are what we repeatedly do. Excellence, then is not an act but a habit"